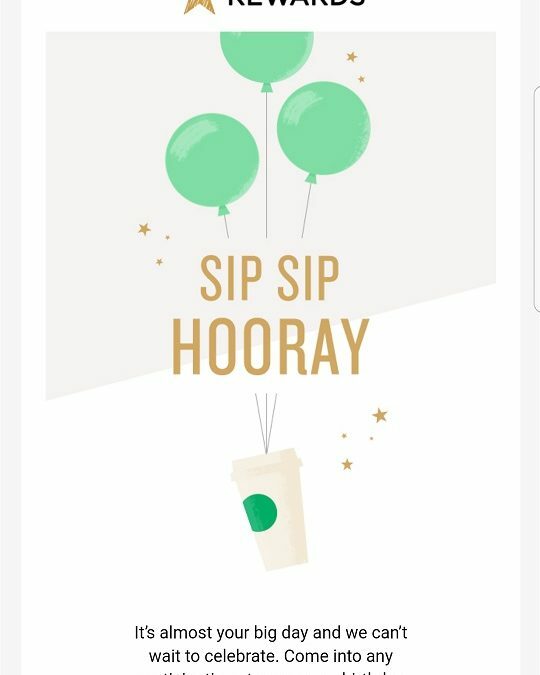 If you are a member of Starbucks Rewards, you get a birthday reward each year. The window of time that you have to redeem that reward has shrunk over the years. When Starbucks Rewards were new (then called “MyStarbucksRewards”) you had 30 days. Then it went to a week. In October 2015, Starbucks went down to a four-day window redemption time (2 days before your birthday, your birthday, and the day after) to use your free food or drink reward. On March 27, 2018, Starbucks changed the reward to just your birthday only. I don’t want you to miss out so I’m spreading the word: Your birthday reward allows you to get a free beverage or anything from the ready-to-eat cold case. It’s pretty much any free beverage or any free food item. (You cannot redeem your birthday reward for something alcoholic. Beer and wine is still offered at select Starbucks airport locations. Licensed stores may have their own terms and conditions.) You have to join Starbucks Rewards at least 30 days before your birthday to be able to redeem the reward, and keep your account active. 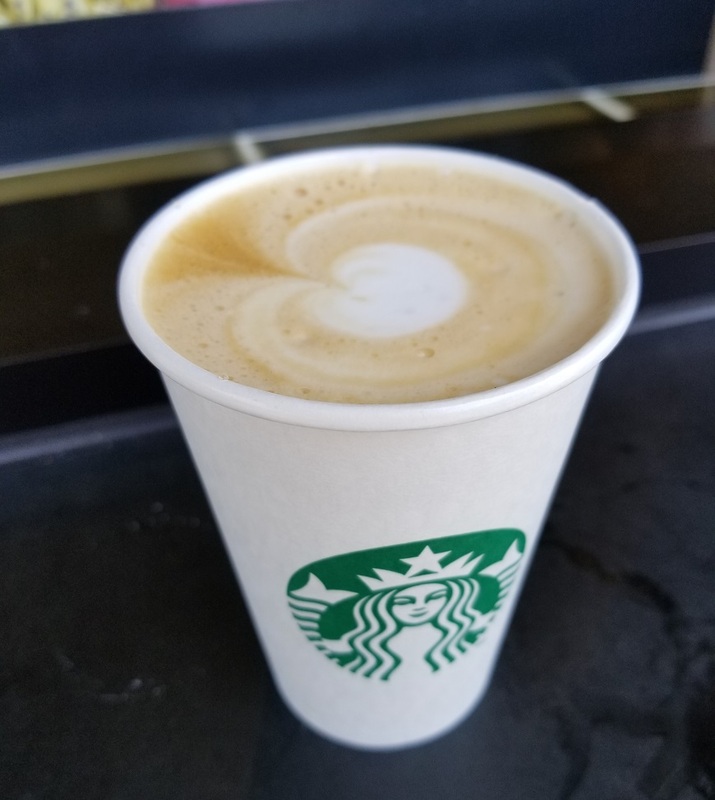 On my birthday (May 17th), I drove about 45 minutes out of my way to Starbucks (because there was a new store I wanted to visit) and redeemed my reward for a Flat White. It was super easy! I just told the register barista that I wanted to use my birthday reward, handed her my registered Starbucks card, and pretty soon I had a perfect drink! Don’t miss out on your free drink or food reward for your birthday! By the way, there are many ways for you to tell Starbucks your thoughts: One option is to use the MyStarbucksIdea website. Let’s talk about My Starbucks Rewards – Card rewards launch in Canada today. This is a problem for me unless they plan to keep all area store open on Christmas. Come on! What kind of “reward” is it if you can’t use it at your convenience. Wouldn’t this be problematic for people who have Starbucks’ observed holiday birthdays? Or the unfortunate sucker with a 2/29 birthday? I, in fact, know someone who has an upcoming birthday on 5/29… and supposedly most Starbucks is expected to close for training. Glad to know this info. Happy birthday! Under the new CEO, Starbucks has changed quite a bit. Little to no store holiday decor during November and December. For that matter, the stores are the same blah year round now. I used to love mtg. a friend at S.B. during Nov and Dec. when it was so festive. No more. I go elsewhere. I also miss the nice ceramic handled mugs that didn’t come with a lid. Sure I could remove the lid, and use the mug, but not for the price charged. I have several lidless S.B. mugs that I have purchased throughout the years, but no more as they are no longer available. Been a strong customer of S.B. since 2002 and miss what S.B. once was for well over a decade. I’d like to know what others think and feel about this new model of Starbucks. I don’dt have a problem with Starbucks limiting the birthday reward to the actual birthdate. That’s what most places that offer a birthday reward do, restaurants, snack stands and ice cream parlors, if they even offer any reward at all, and from personal experience most outlets don’t offer birthday rewards.. That’s not to say that I like the change or that I might forget to redeem my “reward”. It’s a nice perk, something that Starbucks doesn’t have to do at all, and isn’t the reason I shop at Starbucks or became a card holding member. That said, I’m sure that Starbucks, if you asked, would change your December 25 or February 29 birth date, in their records, to some other date. I’ve always found Starbucks to be accomdating, remembering that they’re in business, not a charity sharing the donations of others. Of course that wouldn’t stop people from complaining that they forgot their “new birth date” and Starbucks should have made sure they got a reward. While a four day redemption period was more convenient, that didn’t stop people from complaining in the (now defunct) My Starbucks Idea discussions that Starbucks should be required to give them their birthday month to redeem their reward because they had other, more important, things to do than have to inconveniently rush into Starbucks to get their reward. Add to the people who complained that they should have the entire year to redeem their birthday reward, or should be able to get a free item for a friend or companion who they want to celebrate their birthday at Starbucks. 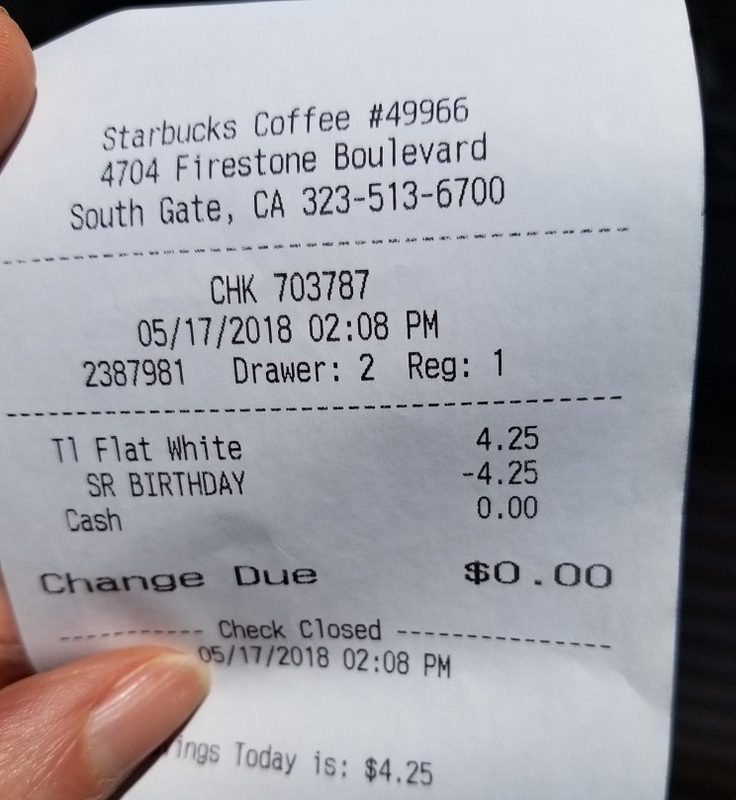 At worse, people can register a Starbucks card for a relative and pick the birth date of their choice and receive a birthday reward for that new birthday. Not accurate for most large companies who offer birthday rewards as a buy in to join their rewards/perk programs. Most all are 30 days. It’s not customers having an “entitled attitude” it is customers actually being entitled to what was promised when they agreed to sign up and share their personal information and receive advertisement emails/mail. That’s why there are long time customers so miffed about this. No, it’s not ruining our lives, but no one likes a bait-and-switch. And what if you live in a small town that only has a Starbucks in the grocery store that doesn’t participate in giving free rewards or birthday drinks? I have to drive over an hour to a corporate starbucks to redeem them. I would sometimes miss the birthday reward when it was a 4 day window because of work, etc. Sure, I give them my business and earn plenty of stars, but have to wait until I’m in the big city to redeem. And like Speak It says, most places allow for a much larger window of time to redeem birthday rewards. And I don’t know of another establishment that doesn’t allow for redemption at all its locations (well maybe not airport locations). But neighborhood and community locations? If they can do it at Kroger and Target, why not everywhere? I have a different experience than the previous poster – birthday perks I get from other companies give are mostly good during my birthday month. I have a close-to-a-holiday birthday, but it’s just not usually a Starbucks day for me. (Not the first drawback to a close-to-a-holiday birthday.) It does seem a bit stingy. Even 48 hours would be nice(r). As you say even 48 hours would be nice as it’s extremely discriminatory toward rural customers or anyone a long distance from Starbucks. What, I’m going to make a special 26 mile trip into town if my birthday happens to fall on a day I’m not going into town? I’m curious. What other companies give you birthday perks good during your entire birthday month? Anthropologie, IHOP, Coldstone, Panera, Sephora, Ulta, Madewell… and many others offer rewards (sometimes free item(s) and sometimes a percent-off reward). They are all good for a month. I understand it is not an entitlement, but when you sign up and give personal information to be in their rewards/perks program, it is one of the things they offer you. And when you have a Gold Card at Starbucks and purchase frequently, it is a good deal for Bucks. It feels like a bait-and-switch To originally advertise and offer a 30-day window for your bday reward and then whittle it down to the day of. It is hard to prioritize going in to a Starbucks to claim your free drink over spending time with family. It’s cheap and greedy and looks bad on the business. Especially one that is making A LOT of profit. And it is unfair to employees AND customers because no one wants to stand and have a conversation about not being able to get their reward ON their birthday or feel like they’re begging for what was promised when we all joined the rewards program. And no one should have to change their official bday so that they can receive their reward. (Customers with birthdays on holidays) It’s silly. It’s cheap and sends the wrong message – Starbucks tries to offer perks to loyal customers (which is the buy in to even receive a birthday beverage) then they nerf it to just the 24hrs of your actual day of birth?! This wouldn’t bug me if I was just trying to freeload a drink and never went to Starbucks. It’s the years of previous experiences where I had some leeway that made the week of my birthday feel special. It’s cheap guys and feels like policy over people kinda politics. Yes, Jesse, you have a valid point. At least they offer a free drink versus none. Let’s forget what other companies do…though Starbucks should be benchmarking against competitors/employers…and look at the bigger picture in how Starbucks changed their birthday drink policy so that they would provide less free drinks. How many of us, whether distance, birthday date holiday, schedules, etc, will actually take the time to show up to a Starbucks on our birthday? By limiting gift redemption to one day, the statistics play out that Starbucks will pour less free drinks annually. When you look at the changes Starbucks has made to their ‘reward’ policies over the last 5 years, it appears to be less repeat customer friendly. Retention, whether employees or customers, is critical to success, but clearly Starbucks is focused on other things than customer retention. I’ve already said I’m not in favor of the change, but how does giving you a reward, even if it’s only good on one specific day, make the company “cheap”, and how does it send “the wrong message”? Seriously, just for perspective, what does the company you work for, or that of your family and friends, offer as a “non-cheap, correct message” reward? I wish they allowed multiple days to come in because if my birthday was on a weekend or a holiday, I wouldn’t likely be going. I guess they think they would encourage people to come in at times they are not used to, and then the customer becomes an even more regular customer. Yes, my birthday was Columbus Day weekend and I was away. No Starbucks within miles. It would have been nice to have at least a 48 hour window.